Despite the excessive heat advisory, we were able to accomplish a few activities this shortened weekend. Brian didn’t return from the East Coast until mid-day Saturday so he wanted to keep things low key, especially since we are leaving for Victoria, BC in a couple of days for my long birthday weekend. 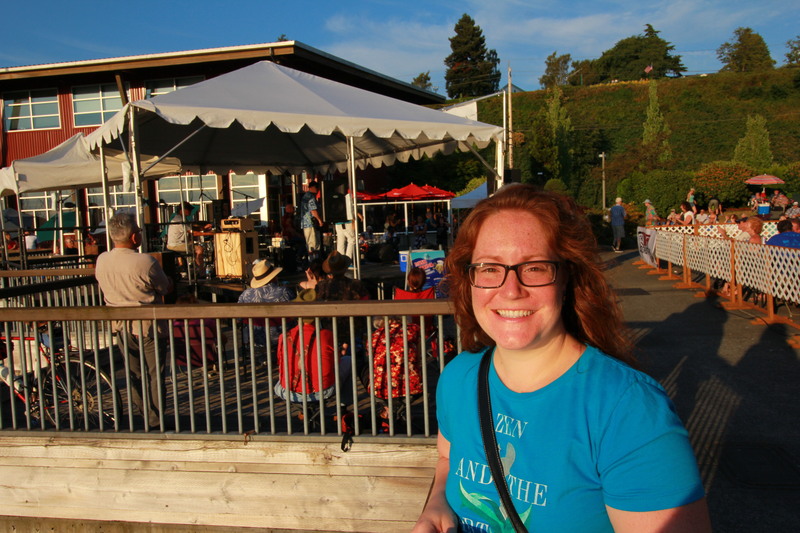 Luckily I had just stumbled upon the handy Experience Everett site and discovered the perfect local weekend activity–Music at the Marina! 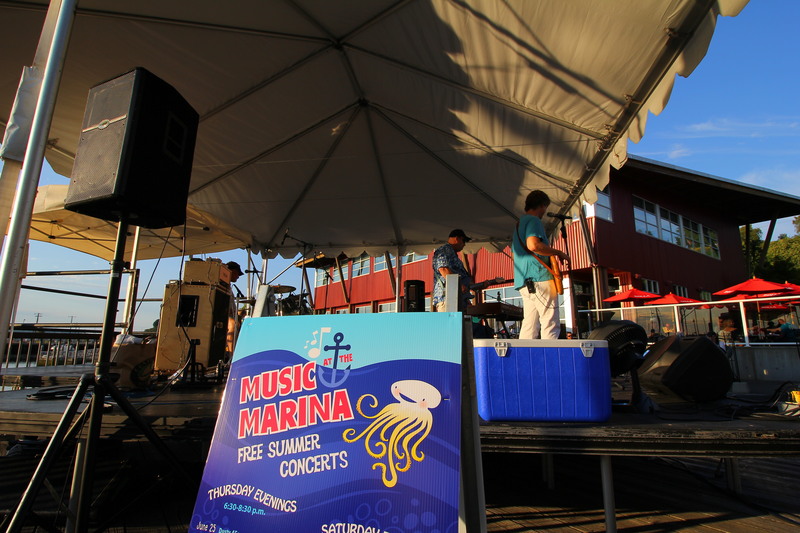 About a 20-minute walk from our apartment, this Saturday-night concert series takes place at the Port of Everett next to the restaurants and shops along the marina. It’s a perfect place to grab a bite, visit the beer garden or just plop open your chair in the grass to enjoy some music. It was too hot for food and beverages, and we didn’t have chairs, so we just walked around listening to the music and checking out some of the boats. The marina is packed every time we’re down there, and it was awesome to see all the restaurant patios filled with customers. 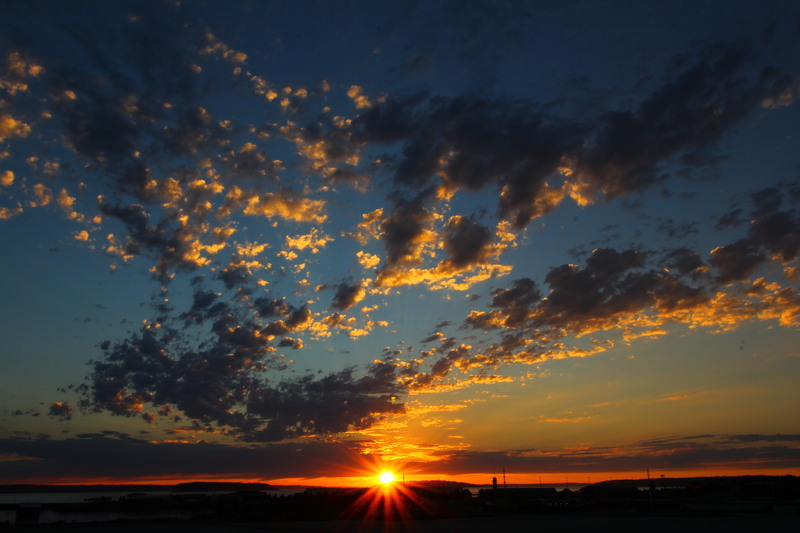 I can’t wait to check out a few of them soon, preferably when it’s a tad bit cooler. 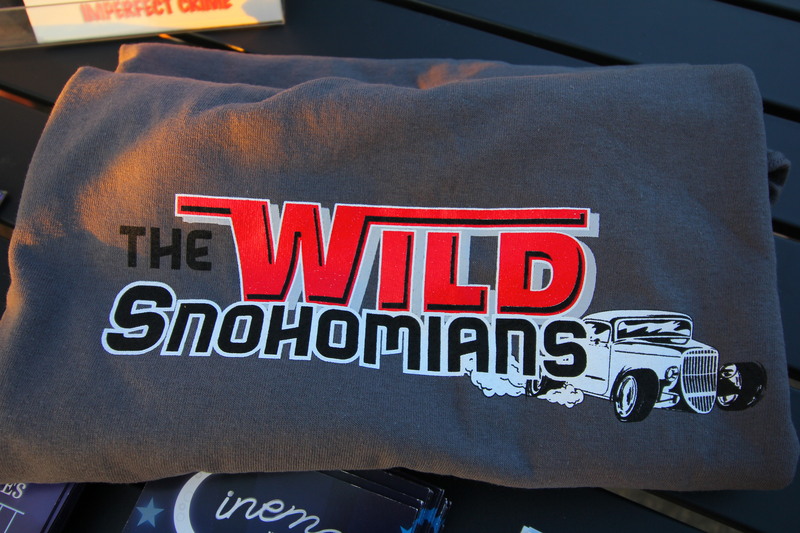 The band was called the Wild Snohomians–a roots rock band–and they were good. My husband was trying to check out their equipment, but there were quite a few people sitting and dancing around the stage. 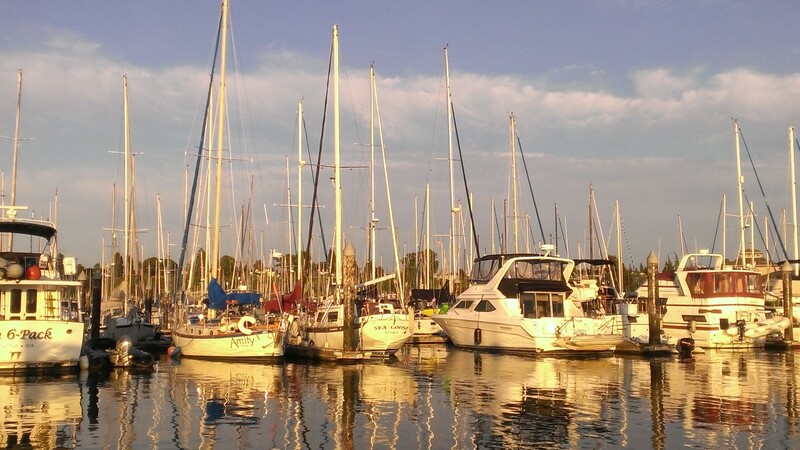 As the set was drawing to a close we made our way down to the end of the marina and headed out on one of the docks. 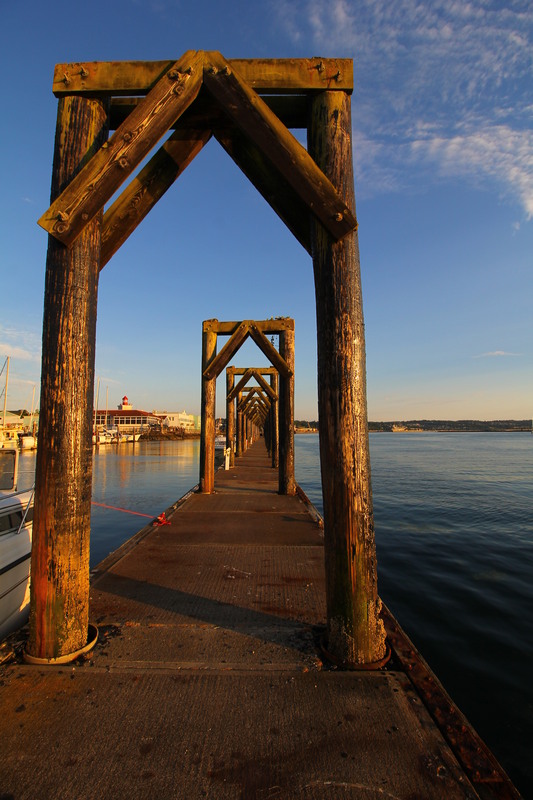 It barely sits above water level and extends in two directions so we could get great views of the shops, boats and harbor. We snapped a few pictures, enjoyed the breeze and shade, and eventually turned back toward home. On our way back the sun started to set so we snapped a few pictures (actually, my husband snapped a few pictures–I was mostly taking it all in). 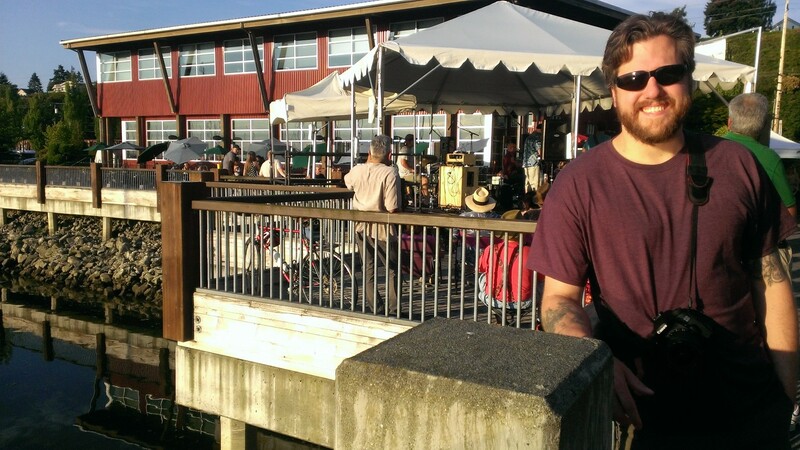 A little live music along the water on a Saturday night? Perfect.